The right to a healthy environment is a human right protected under article 4 of the Mexican Federal Constitution (CPEUM); however, this was not the case until 2012. The CPEUM also recognises that environmental damage carries responsibility for the culprit, which one could argue means that the right to demand the remediation of environmental damage is also a human right. Under this provision, access to clean water for domestic consumption is also established as a human right. The General Law for Ecological Equilibrium and Environmental Protection (LGEEPA) is the main federal environmental statute. It sets out the principles of Mexican environmental law, public policy instruments and the distribution of powers among the federal, state and municipal authorities. The two most relevant regulations of the LGEEPA are the Regulations on matters of Environmental Impact Evaluation and the Regulations for the Protection and Control of Atmospheric Pollution. In addition to regulating waste management and disposal, the General Law for the Prevention and Integral Management of Wastes (LGPGIR) regulates liability for remediation of contaminated sites, as well as the rules for transferring contaminated sites. The National Waters Law (LAN) regulates the use of national waters, wastewater discharges and environmental protection of bodies of water. The new General Law for Sustainable Forestry Development, enacted on 5 June 2018, recognises landowners as owners of the forestry resources present in their property and regulates exploitation of forestry resources. Other relevant statutes include the General Law of Climate Change and the Federal Law for Environmental Liability, which establishes a legal action at the Federal Judicial Courts to demand the remediation of environmental damage caused by illegal actions. There is no real system of integrated control pollution. In 1997, there was an attempt by the Ministry of Environment and Natural Resources (SEMARNAT) to establish an authorisation that integrated all the federal environmental permits required for a project. The Comprehensive Environmental Licence (LAU) was meant to integrate authorisations on matters of environmental impact, environmental risk, air emissions, hazardous wastes and wastewater discharges. In practice, projects obtain their environmental permits through independent proceedings and the LAU works only as an air emissions licence. Holders of an LAU must, however, annually report the contaminants generated or discharged to all environmental media through an Annual Emissions Inventory (COA). The COA is also used to report greenhouse gas emissions. Under LGEEPA and LGPGIR, the general rule is that the persons responsible for soil pollution are obligated to remediate. Where the guilty party cannot be found, the liability for remediation is charged to the owner or possessor of the contaminated site. An innocent owner or possessor of a contaminated site that has been forced to remediate is entitled to claim the costs from the responsible party through the civil courts. There are only two Mexican Official Standards (NOMs) that establish maximum permissible levels of soil contamination: (i) NOM-138-SEMARNAT/SSA1-2012, dealing with hydrocarbons; and (ii) NOM-147-SEMARNAT/SSA-2004, relating to heavy metals. Under the LGPGIR, acceptable clean-up levels for contaminants other than hydrocarbons and heavy metals must be set based on a risk assessment. The party responsible for the remediation must conduct a risk assessment to determine acceptable levels of contaminants for the environment and human health on a specific site. Under civil liability rules, those who handle hazardous materials are obligated to repair the damages caused as a result of accidents or negligence. Under the Federal Criminal Code, environmental damages caused by a release of hazardous materials by illegal conducts or as a result of failure to apply the adequate preventive measures, are considered a crime punishable with prison and penalties. Waste is defined as a material or product in any physical state whose owner or possessor disposes of and that can be subject to valorisation or that must be treated or given final disposal. LGPGIR classifies wastes as: (i) hazardous; (ii) special management waste; and (iii) solid urban waste. Hazardous wastes have corrosive, reactive, toxic, flammable or explosive characteristics or are infectious and are generally regulated under federal regulations and by the federal authorities. Special management wastes are regulated under state laws and authorities, while solid urban wastes are under the control of the municipalities. retain companies authorised by SEMARNAT or the competent authority for the transportation, treatment and final disposal. Hazardous waste generators will be responsible from ‘cradle to grave’, meaning that the generator never stops being liable for the contamination that such waste may cause. Legally, when the generator delivers the waste to an authorised company for treatment or final disposal, such liability will be secondary. Hazardous wastes from specific industrial sectors and infectious wastes are subject to specific regulations established in the LGPGIR and Mexican official standards. Hazardous wastes from the hydrocarbons sector are regulated by the Agency for Industrial Safety and Environmental Protection of the Hydrocarbons Sector (ASEA). ASEA has issued specific technical standards and guidelines for the handling of wastes specific to this industry. Air emissions regulations are applicable to both stationary and mobile sources. The federal government has reserved its right to regulate stationary sources belonging to certain sectors or industries. All other stationary sources of emissions and mobile sources will be governed by state authorities. filing an annual emissions inventory of air emissions, as well as all other contaminants generated or emitted into any media such as hazardous wastes, wastewater discharges and energy consumption, among other information. The maximum permissible levels of contaminants are set forth in NOMs. The two main standards are NOM-085-SEMARNAT-2011, for emissions from the combustion of fossil fuels, and NOM-043-SEMARNAT-1993 for particles. There are other Mexican official standards applicable to contaminants from specific industrial activities, such as volatile organic compounds and sulphur compounds, among others. SEMARNAT or the competent state authority, as the case may be, have discretionary to impose specific maximum permissible levels of contaminants for specific processes or the obligation to install emissions control equipment in the LAU. The LAU, however, does not regulate the energy efficiency of buildings. Surface waters, groundwater and marine waters are owned by the Mexican State and cannot be subject to private ownership. The use of water by public or private persons is only possible through concessions granted by the Federal Executive through the National Water Commission (CONAGUA). The use of sea water requires a concession only for purposes of desalination. Concessions for the use of water can be granted for up to 30 years, renewable, and authorise the use of a specific volume of water for a specific use. The holder of a concession must use the total volume of water authorised by CONAGUA; failure to do so for two consecutive years may result in the partial or total early termination of the concession. CONAGUA also regulates wastewater discharges into national bodies of water or onto the soil. Wastewater discharges require a permit which must be requested at the same time as the concession for the use of water. The quality of the discharge must comply with maximum permissible levels of contaminants set forth in NOM-001-SEMARNAT-1996. CONAGUA can also impose particular discharge conditions in the permit which may include parameters not regulated in NOM-001 and/or more stringent limits. There are two other NOMs regulating the quality of wastewater: NOM-002-SEMARNAT-1996, for discharges into urban sewerage systems, and NOM-003-SEMARNAT-1997, for the reuse of treated water in certain activities. The use of the land associated with bodies of water is also regulated by CONAGUA through concessions. The construction of any works which may affect the hydraulic regime of a body of water requires a permit from CONAGUA. Natural spaces and landscapes are areas generally protected through the creation of Natural Protected Areas (NPAs). protecting the natural surroundings of archaeological and historic zones, and areas that are important for cultural, national and indigenous identity. privately owned land voluntarily designated for conservation. The protection granted to an NPA consists mainly of restrictions for activities that would be damaging or contrary to the conservation or restoration ends. These restrictions are mandatory even for owners of private property within the NPA, as well as for authorities involved in the granting of permits. Such restrictions are established in the decrees, the LGEEPA, its Regulations on Matters of Natural Protected Areas, and the NPA management plan. Mexico is a signatory to the Convention on Biological Diversity, and under its mandate the LGEEPA and the General Wildlife Law (LGVS) establish protective measures for wildlife and endangered species. The use of natural resources in habitat areas of wildlife as well as the use and exploitation of endemic and endangered species require authorisation by SEMARNAT, which is only granted if it is guaranteed that there will be no alteration to the necessary conditions for the subsistence and development of species, that the controlled reproduction and development of the natural populations of endangered species is guaranteed and that such use will not threaten or jeopardise endemic species. Protected species can be at risk of extinction, threatened or subject to special protection. The species falling within each category are listed in NOM-059-SEMARNAT-2010. Another instrument to guarantee conservation of flora and fauna is the establishment of closed seasons for hunting or fishing. These restrictions serve to guarantee the preservation, repopulation and redistribution of species by restricting the capture, use and exploitation of specific species for a limited period of time and within a limited area. NOM-081-SEMARNAT-1994: maximum permissible levels of noise emissions for stationary sources and the measuring method. There is no regulation for odours and vibrations under environmental laws, though these may be regulated under labour, health and safety laws. The Federal Law on Environmental Liability (LFRA) sets forth a direct and indirect liability framework in order to make reparation and compensation of environmental damages enforceable by judicial means. In general terms, environmental damage is defined as any measurable and adverse loss or deterioration of the environment or its components that was not previously authorised by SEMARNAT. LFRA provides the basis for ascertaining environmental damage liability, liable individuals (which may also include a company’s managers and executives ordering the damaging activities) and reparation thresholds. When environmental damage reparations are unfeasible, economic or other in lieu compensation is then due for the liable party. Those provided with legal standing to seek damage redress are the affected communities and civil organisations through a judicial process, which may run in parallel to - and not in exclusion of - the administrative, civil and criminal procedures applicable under governing laws. The most common environmental taxes are related to the use of natural resources such as fees for the use of water, wastewater receiving bodies or mining. There are other taxes related to the use and production of fossil fuels; however; in general, the regulation of environmental taxes is still very underdeveloped in Mexico. An activity is considered hazardous depending on the characteristics of the materials involved in the development of the activity and the negative effects that such materials or substances may cause in the environment. Federal and state jurisdictions regulate hazardous activities in a residual formula. Activities involving hazardous materials in volumes exceeding the thresholds set forth in the listings published by the federal government, will be considered as high risk and will require an environmental risk assessment and an accident prevention programme, both overseen by SEMARNAT. On the other hand, each state government, normally through an environmental risk assessment and an accident prevention programme, will regulate activities involving hazardous materials in volumes below the federal thresholds, complying with the particular requirements set forth by each state. A material (ie, any element, substance, compound, waste or any mix thereto) will be considered hazardous if its corrosive, reactive, explosive, toxic, flammable or infectious characteristics pose a risk to the environment or human health. The sale and use of hazardous materials is usually restricted to prior testing and strict regulation ‘from farm to fork’ (ie, from the production facility, through transportation, storage and selling to final consumers) by the relevant ministry (eg, the Health Ministry for products intended for human use or contact, or the Environment Ministry when they may pose a risk to the environment). A sanitary registry by the handling facility may be required and insurance is usually mandatory for companies producing, transporting, storing, using or selling hazardous materials. The elaboration, delivery and keeping of Material Safety Data Sheets is a requisite for handling each product. Finally, to enforce liability redress or prosecution in case of accidents, improper use etc, traceability of the material is ensured through the use of mandatory manifests, applicable to each stage of the handling process of the hazardous material. The prevention of industrial accidents is not regulated or overseen by the environmental authorities, but rather by the Ministry of Labour and Social Welfare. From the legal environmental standpoint, the use of hazardous materials requires an accident prevention programme of federal or local jurisdiction - depending on the volume used - which the pertaining authority must approve. Environmental risk assessments are also mandatory to foresee possible catastrophic events and implement due safeguards to prevent domino effects with other hazardous activities being carried out in the premises or thereabouts. Generally, the environmental authorities establish the obligation to present a copy of the environmental risk study to the municipal authorities so that they can integrate the information in the drafting of urban development plans or programmes. The creation of intermediate safeguard or buffer zones surrounding a risk activity is provided for in federal and state legislations. However, in practice this instrument has rarely been used. Liability for the infringement of environmental laws is generally subjective; therefore, the acquisition of shares in a company also implies the acquisition of all existing and potential environmental contingencies. In a share deal, it is important to properly identify and assess the existing and potential environmental liabilities to be transferred or acquired, as the case may be, resulting mainly from infringement of environmental regulations, compliance with permits and contamination of the site, or if it will be necessary to incur additional costs to improve infrastructure to comply with existing or future environmental regulations. The accurate identification and assessment of liabilities allows the scope of environmental representations and the disclosure of liabilities by the seller to be assessed accurately, and facilitates consensus on how to address the issues in the agreement, through escrows, price reductions or other mechanisms. This also permits the inclusion of adequate indemnities. Under the acquisition of assets, the purchaser does not acquire the company’s administrative liability. However, as the new owner of sites, the acquirer will be jointly and severally liable for clean-up or remediation actions in case of contamination of the site. An environmental site assessment study to determine the existence of potential contamination on all facilities to be acquired becomes even more important than in a share deal. The applicable environmental legislation requires the seller to inform the buyer about contamination of the site being transferred and to allocate responsibility for remediation through an authorisation from SEMARNAT before the transfer of the assets is completed. If these obligations are not met, the law determines that the seller will be responsible for the required remediation. In addition to the aspects identified for a share deal, an asset deal requires an analysis of the assignability of the environmental permits held for the operations of the target company, and if the provision of transitional services by the seller will be required for the continuance of operations of the project or facility. The specific environmental aspects relevant to financing transactions should be defined on a case by case basis, depending on the type of project to be financed, the structure of the financing and the collateral; however, for all transactions it is always relevant to identify the material environmental risks and to address them adequately in the respective loan agreement, through conditions precedent, covenants, or other mechanisms. In project finance deals, it is particularly relevant to confirm that all the relevant environmental permits required for the construction and operation of the project have been obtained or will be able to be obtained so that the project can be completed in a timely manner. Also, if the collateral is to be real estate or an industrial facility, it is important to determine the liabilities that the lender could potentially acquire upon the need to execute such guarantees. When dealing with IPO deals the focus is on identifying and disclosing those risks associated with the environmental aspects of the business (not merely one project or facility) with respect to the material implications or risks derived from the application of the environmental legislation or any breach of compliance with such environmental legislation, as long as the potential consequences are material to the business. Environmental protection is taken into consideration by public procurement regulations. At a federal level, for example, there are guidelines that allow contracting entities to develop evaluation criteria in order to adjudicate contracts to bidders that include certain environmental commitments in the execution of the project or contract being awarded. Further, in some instances, both local and federal, contracting entities include environmental commitments in adjudicated agreements that are in addition to the scope of the contract. The CPEUM provides concurrent faculties for the federation, states and municipalities on environmental impact matters, and these are allocated by the LGEEPA by reserving certain works and activities to federal jurisdiction. Those areas not specifically reserved to the federal environmental authorities will be under state or municipal jurisdiction. Any work or activity that may modify the environment or result in negative effects over ecosystems or natural resources must be assessed and approved for its environmental impact by the environmental authorities. Typically, this general rule is specifically defined through catalogues of works and activities that must obtain an environmental impact authorisation. works and activities in wetlands, mangroves, lakes, lagoons and natural protected areas. the resolution must be issued within 60 business days after the integration of the file: rejecting the authorisation, granting the EIA subject to the compliance of certain conditions or authorising the development of the works or activities. This period can be extended for another 60 business days if the project is very complex. SEMARNAT has the authority to grant permits on environmental matters for activities under federal jurisdiction. ASEA is a regulatory agency of SEMARNAT created in 2015 as a result of the opening of the hydrocarbon sector to private entities. It is responsible for regulating and supervising industrial and operating safety and environmental protection for activities in the hydrocarbon sector. ASEA has the authority to grant permits on environmental matters related to activities within the hydrocarbon sector and also acts as the enforcement agency. The Federal Environmental Enforcement Agency has powers to inspect, enforce and prosecute offenders that do not comply with environmental legislation and to impose penalties, safety and corrective measures for infringements of environmental law that are not related to the hydrocarbon sector. Affiliated with SEMARNAT, with economic and technical autonomy and its own budget. CONAGUA is responsible for the management of national waters, prevention and control of water pollution and the protection of national bodies of water and its protection areas. It has powers to grant concessions for the use of national waters, wastewater discharge permits and other permits related to the use of bodies of water and exploitation of materials found in riverbeds. CONAGUA can also impose penalties resulting from breaches to the National Waters Law and acts as the revenue agency for taxes related to the use of national waters. Environmental enforcement authorities have the right to conduct inspection visits in order to supervise the compliance of the applicable environmental legislation. after the inspection, the authority will analyse the observations and determine potential irregularities, in which case it can initiate a formal administrative proceeding aimed at proving the irregularities or imposing penalties. the governmental authority must issue the resolution, imposing penalties if applicable, within 20 business days following the filing of the allegations. LGEEPA establishes a generic catalogue of administrative sanctions, which are not individualised to specific conducts but simply refers to the breach of the law or breach of the terms and conditions set forth in the environmental permits and authorisations. These sanctions can be divided into two groups: the first group considers economic penalties, and the second group considers material effects such as the revocation, suspension and closure of activities. These material sanctions can only be imposed if the works or activities are causing environmental damage that was not considered and evaluated under an environmental impact authorisation or if a potential risk of causing environmental damage exists. Final resolutions from administrative authorities that affect rights or impose obligations can be challenged. The grounds for challenging resolutions are usually related to legality issues, including the breach of due process rules, lack of or deficient legal motivation and mistakes in portraying the facts, among others. The party affected may choose to challenge by means of an administrative appeal or through a nullity trial. The affected party has a term of 15 business days from the delivery of the resolution to file the appeal, which will be resolved by the same agency, but by the superior of the government official that issued the resolution. Resolutions issued under this appeal can be further challenged by means of a nullity trial. The affected party has a term of 30 business days from the delivery of the resolution to file the nullity claim, which is resolved by the Federal Tribunal of Administrative Justice. Environmental law proceedings involving resolutions that impose penalties are typically held at administrative courts. The main federal administrative tribunal is the Federal Tribunal for Administrative Justice (Administrative Tribunal), which has a Specialised Chamber for environmental matters; however, definitive rulings from administrative tribunals can be challenged in the judiciary. LGEEPA gives members of a community, the right to challenge the validity of authorisations granted under any federal environmental law on the basis that such an authorisation violates environmental legal provisions. These types of proceedings are tried at the Administrative Tribunal. Violations to the constitutional right to a healthy environment can be filed in an amparo, which is a constitutional appeal that is tried before the Federal Courts of the Judiciary. Proceedings aimed at claiming the reparation of environmental damages under the Federal Law for Environmental Liability are attended by the Federal District Courts. These types of legal actions can only be initiated by the local or federal environmental enforcement agencies or by non-governmental organisations whose purpose is the protection of the environment. Environmental crimes are initially known by a prosecutor who is an administrative authority and has the power to decide whether to initiate a process to pursue an environmental crime. If the prosecutor (Ministerio Público) decides to go ahead with the process, this will be tried before a criminal judge belonging to the judiciary. Finally, civil liability is not regulated under environmental laws but under the civil codes, and therefore claims for civil liability related to environmental damages will be known by ordinary civil courts, also belonging to the judiciary. Administrative environmental enforcement agencies, the Federal Tribunal and the Federal Courts have powers to order precautionary measures aimed mainly at avoiding or limiting actual or potential environmental damage or protect public health. Environmental enforcement agencies can impose the temporary or partial closure of a facility or the suspension of any activities when such activity poses a risk to environment. These authorities can also seize species of flora or fauna or forestry material obtained by its possessor illegally or that are held under circumstances that endanger its health or safety. any other measure necessary to prevent further damage. Interim measures may also be intended to maintain the existing circumstances to protect the subject matter of the proceeding. When an interim measure results in losses or damages for the affected party, the court may request the plaintiff to post a guarantee for those eventual losses; however, this is at the discretion of the judge. Environmental law recognises that civil liability for damages caused to the environment, property or persons is independent of the administrative or criminal liability resulting from the infringement of environmental laws. Therefore, civil claims are not based on the infringement of an environmental law, but rather on personal or property damages by a third party through fault or negligence or a result of strict liability. Civil claims may be contractual or non-contractual. Non-contractual civil liability can be strict for damages resulting from the development of legal activities but which are inherently risky or hazardous (handling of chemicals or hydrocarbons). Environmental laws also recognise the right of innocent parties to claim civil damages caused by the infringement of environmental law. Therefore, contractually, the parties can agree to indemnify each other for damage caused for such reasons. Mexican environmental law is based on the polluter pays principle; therefore, administrative liability resulting from the breach of environmental law will always be subjective. This type of liability, consisting mainly of economic penalties, has a five-year statute of limitation. On the other hand, those who generate hazardous wastes area liable for damages or contamination caused by such waste, even after final disposal; however, the law recognises that once the hazardous wastes are delivered to an authorised company, such liability will be secondary. A generator who suffers damages as a result of the inadequate handling of hazardous wastes by a services company could seek to be indemnified by the latter. LGEEPA establishes joint and several liability between the owner and possessor of a site contaminated with hazardous materials or wastes. This liability results in an obligation to remediate, even if the contamination was caused by a third party. For these cases, the law recognises the right of an innocent buyer or possessor to claim damages from the culprit. LGPGIR establishes certain obligations applicable to the transmission of contaminates sites. Failure to comply with these obligations means that the seller will be liable for the remediation as a matter of law. The obligation to remediate does not have a statute of limitation. Joint and several liability is also established in the LAN between those who generate wastewater and the provider of wastewater treatment services. The LAN does not recognise the right of an innocent party to claim damages, and therefore indemnities would need to be addressed contractually. Under the Federal Law for Environmental Liability, responsibility for environmental damage is subjective and thus arises from illicit acts or omissions. The statute of limitation to claim the reparation of environmental damage is 12 years. Strict environmental liability arises when damage to the environment is caused directly or indirectly through the use of hazardous waste or materials; the use and operation of vessels on coral reefs; the performance of high-risk activities; and the handling of inherently dangerous instruments. Entities are liable for environmental damage caused by their representatives, directors, managers, operators, employees and operators when acting on behalf or for the benefit of such entities. Entities and third parties hired by the former are jointly liable for the damages caused by the latter. If two or more persons or entities cause environmental damage with malice or willful intent, they will be jointly liable unless it is possible to determine the specific damage caused by each party. secured financial guarantees (environmental insurance). Directors or officers of a corporation cannot be made personally liable for the infringement of environmental law. In such cases, the corporation or entity will be the only person responsible for any penalties that may be imposed by administrative authorities. Under the Federal Law for Environmental Liability, officers or directors, as well as any individual with the legal duty of preventing environmental damage, will be liable for the reparation of such damage if they failed to prevent it. This law does not provide for specific defences for officers’ liability, and therefore they would have to prove during the process that they were not personally responsible for the damage or that they did not have the legal duty to prevent it. the second instance in charge of a collegium of three magistrates at the state level and only one magistrate at the federal level. A decision issued by the first instance justice may be appealed at the second instance level. All the rulings issued by the federal and state second instance courts can be challenged on human rights and constitutional grounds through a remedy called amparo. Definitive rulings from the Federal Tribunal can only be challenged through an amparo directo. The plaintiff does not have another level of appeal against the resolution of the amparo unless the subject matter is relevant, transcendental and related to the constitutionality of certain laws, in which case an extraordinary revision appeal with the Supreme Court of Justice may be filed in a very few exceptional cases. Rulings from amparos tried against environmental laws or resolutions from environmental authorities (different from the Tribunal), may be challenged through an indirect amparo. This resolution can be appealed through a revision recourse. Resolutions requiring the reparation of environmental damage under the Federal Law for Environmental Liability can be challenged by means of an appeal as a first level of appeal and through an amparo as a second level of appeal. the Nagoya Protocol on Access to Genetic Resources and the Fair Equitable Sharing of Benefits Arising from their Utilisation to the Convention on Biological Diversity. International treaties -which are binding at the international level only on countries - considerably inform Mexican domestic legislation, which then becomes applicable and mandatory to individuals. Many law enactments and amendments to Mexican environmental legislation come when the Mexican Senate ratifies the international treaties executed by the diplomatic arm of the Mexican State. For example, on 13 July 2018, the General Climate Change Law was amended to enforce the GHG emissions reduction commitments acquired by Mexico upon the signing of the Paris Accord. Energy reform has prompted the need for many new environmental regulations, mainly applicable to the hydrocarbon sector. ASEA has been busy issuing guidelines and technical standards that are specific to the exploration and exploitation of oil, storage and distribution of hydrocarbons (including gasolines), LP Gas and natural gas, among others. New rules on matters of environmental insurance for these sector have created some controversy, particularly in sectors that had typically not being subject to environmental regulations of these types, such as transportation by railway or service stations. Another trending topic is the domestic emissions trading market. The grounds were established firstly with the General Climate Change Law in 2012, followed in 2014 by the Regulations on matters of the National Emissions Registry, which sets out the obligation to report GHG emissions with a 25,000 tons per year threshold. More recently, amendments to the cited Regulations order the establishing of the domestic emissions trading scheme and allocates responsibility for achieving the country’s goal to reduce its GHG emissions by 22 per cent by 2013 to different industries, with the power industry having the highest target with 31 per cent, followed by the waste industry with 28 per cent. Additionally, ASEA has proposed regulations to prevent and reduce methane emissions from the hydrocarbon sector. The proposed guidelines set a mandatory 80 per cent reduction in methane emissions per facility by 2025. This draft is still being analysed by the Commission for Regulatory Improvement and is currently subject to public consultation. It is expected that regulations regarding the control or reduction of greenhouse gas emissions will continue to evolve and impose more reduction obligations on industrial sectors. 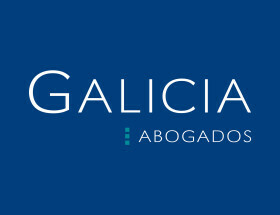 Galicia Abogados is a leading legal firm in Mexico with more than 20 years of experience helping our clients make better business decisions.